What Are The Best Casino Apps ? With the rapid development of mobile technology, we are used to doing everything on our phones and tablets. Playing casino games is not an exception. Whether it is for free or for real money, more and more people are playing on the go. Fortunately, the industry is gladly doing what’s necessary to meet this demand. There are hundreds of casino games available for all kinds of devices. Some are better than others and this article is about the best casino apps for iOS and Android. If you prefer playing with real money, there are also many viable choices out there. It must be mentioned that Google Play does not allow gambling applications. This means that the Android platforms in this list must be downloaded from the website of each casino. Bet365 is one of the biggest online gambling operators and it is no surprise to see it on this list. The operator has a slick mobile version with plenty of interesting games. The majority of them are slots, but there are also card and table games, video poker, and even live dealer tables. 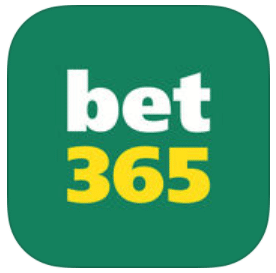 If you’re on iPad or iPhone, you can download the Bet365 Casino app from the iOS App Store. If you’re using an Android device, you need to visit the website of the operator and follow the instructions. Gala Casino, with Genting, is certainly one of the most recognized casinos in the UK, as you can easily find their Bingo Clubs and remote casinos across the UK. On mobile, the operator provides more than 200 games, slots, and live casino tables and offer the same promotions as on the website. 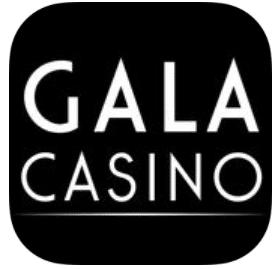 The only downside with Gala Casino is that the Android app has not been released so far. 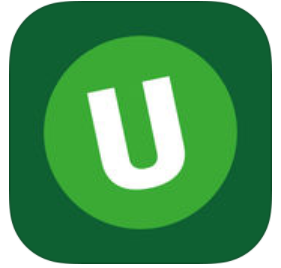 The British giant Unibet has its own casino brand that is available on mobile. It is not accessible for instant play, so you will have to download the native app. For iOS devices, this happens from the iOS App Store. Android users will have to visit the web page of Unibet Casino and follow the instructions. The platform offers more than 150 games on the go. Most of them are slots, but other games can be played as well. All of them are optimized for better performance on the go. The Unibet mobile casino has a smooth user interface and nice graphics. The mobile platform of Ladbrokes Casino offers its customers two options. The first one is to download and install the software from the dedicated app store. The alternative is to play instantly from the browser of your device thanks to HTML5. In both cases, it is easy to navigate through the platform and pick a game. There are more than 50 different games available at Ladbrokes Casino mobile. Most of them are slots, including progressive jackpots. Some popular titles include Monty Python’s Spamalot, Gladiator and the Marvel Series by Playtech. The NetBet mobile casino doesn’t require a download. You simply need to open the operator’s website on your device and start playing. This applies to iOS and Android, but other platforms like Windows Phone and Blackberry are also supported. The platform is optimized for better performances and there isn’t a long loading time. The graphics are slick and the user interface is intuitive. The customers of NetBet Casino can pick between more than 100 games. The majority of them are slots, but video poker, baccarat, roulette, blackjack and a couple of other games are also available. The NetBet mobile offers live dealer tables on the go. We should also mention the Paddy Power Casino, especially their very immersive live casino app. Big Fish is a European game developer famous for its products targeting casual players. They have their own casino game for mobile and it can be downloaded on both iOS and Android devices. The games are free to play, but there are in-app purchases. This allows you to reload if you run out of chips. The Big Fish Casino has several advantages. There are plenty of interesting games, mostly slots, but also roulette, blackjack, video poker, craps and more. It’s all about fun and entertainment, with the cool graphics and funny animations contributing to the experience. Another free-to-play casino that is available for download on Google Play and iOS App Store. CSN Casino offers mostly slots and popular formats like Wheel of Fortune, Deal or No Deal, Ghostbusters. The graphics are beautiful and the user interface is seamless. It’s a nice, casual platform that allows its players to have some good time on the go. You can play completely free or decide to take advantage of the in-app purchases if you want more virtual chips. This app is among the most popular in both Google Play and iOS App Store when it comes to casino games. It offers a large collection of cool slots, but also video poker, roulette, baccarat, and other popular games. What distinguishes the Huuuge Casino app is the social environment. Many of the titles have a multiplayer mode and you can play with other people. This contributes to the whole experience as you can share success or even enjoy a little friendly banter. The Huuuge Casino platform also has a cool system of achievements. It allows you to follow your progress and share it with friends. The application is free to play and you can enjoy it without spending a penny. However, you can get more chips or remove the ads with the in-app purchases available. As the name suggests, this app is dedicated to slots. There are over 120 of them and the list keeps getting bigger. It is available on both iOS and Android. You can choose to play for free or use the in-app purchases to get more chips and unlock certain features. The best about Slotomania is the quality of the games. The graphics are truly stunning and there are so many different themes across the games that each player should easily find something suitable.